If you are thinking of selling your home soon here is some sound advice to take note of. Selling a home is an emotional process for many sellers, especially first-time sellers and those who have lived in their homes for a long time. People sell for many reasons; whatever yours is, here’s how to handle it. The first time you sell a home, you may be anxious about the process. After all, you don’t know what to expect. However, with the market always changing, even experienced sellers may encounter uncertainty. To help make the process worry-free, follow these tips and be sure to ask any questions that arise. Make any necessary repairs and get your home move-in ready. If possible, hire a home inspector so you know what to fix. Buyers today (even home investors or companies that Buy homes for cash) will have several home inspections performed (general, pool, AC, termite etc...) and want homes that need little to no repairs. If your property is in need of repairs ask your professional REALTOR® about different options available and what matters to Buyers most. Sometimes repairs can be done and paid at closings instead of out-of-pocket. Remove the sentimental or emotional value you have in your home and see it as it is: a place to live. Buyers do not pay extra for sentimental or emotional value. Improving the accessibility of your home to buyers and buyer’s agents will help it sell faster. Home buyers often want to “see it now” so if you can have your home ready to show in 30 minutes to 60 minutes, it will greatly increase your chances of getting an offer. Have your home available to show all day if possible into the early evening and especially on weekends. Keep in mind that you are still in control. If you have having a special occasion at your home or don't want to show on a Sabbath day, then let your REALTOR® know what your needs are. You may be wondering, should you sell your current home first or buy a new home and then sell? I can discuss the many different options with you to ensure you make the best decision for your specific situation and help you decide if you should buy first, sell first or how to make a double move easy. Just call Donald Keys REALTOR® Since 2006 at (602) 750-1744. I am NOT talking about a gameshow! Ideally, you’ll want multiple offers so you can choose the highest and best offer. Pricing your home correctly will help you target the right buyers who are willing to negotiate the best deal. Setting an accurate asking price will speed up the selling process so you can move on to the next chapter of your life, while still getting the most money. I offer several different PRICING STRATEGIES call or text Donald Keys REALTOR® Since 2006 at (602) 750-1744 to discuss your options. Plan ahead to save time and money. If you sell your home before you buy a new one, lean on me to help you find a new home or short-term rental before you close. I can also recommend some of the best lenders to help you get pre-approved for your mortgage. ​Consider the suburbs. If you want space at a budget price, consider rural or suburban areas where you get more home for your dollar. While the majority of sellers who downsize do so when they retire, there are many reasons homebuyers seek a smaller home. Perhaps you want to save more money with a smaller mortgage payment or you don’t want the maintenance that comes with a large home or want the saving of being energy efficient. Whatever your reasons for scaling down, you may also be focused on selling for a property to pay cash for your next home and stash some extra money in savings. Clear the clutter. Since you’ll be moving into a smaller space, you’ll want to sift through your belongings and sell, donate or toss anything you can live without. Remember, you may not have the storage available in your next home to save items that have outlived their purpose. Hire a professional stager. If you’re selling in a competitive or high-end market, a professional stager can bring out the best in your home to set it apart from similar homes on the market. Don’t write off a fixer upper. Depending on how much you sell your home for, you may have the money available to hire a good contractor to improve the look and functionality of a bargain home. Try before you buy, if you’re moving out of town or downsizing considerably. Renting a much smaller space in your desired location will help you determine the ideal size and exact place to buy your new home, before making a large investment. ​Donald Keys REALTOR® Since 2006 at (602) 750-1744 because Your Agent Matters! Home Staging Starts At The Curb! Curb appeal is the first step to selling your home. No one wants to buy a previous owner’s dirty house. Power-was the siding and was windows until they shine. Trees, shrubs and flowers should be neat and tidy, the garden weeded and the lawn mowed and edged. Once you’ve removed everything that isn’t necessary, add touches such as large, lush flower pots or hanging planters to welcome visitors. Once you’ve created a promising exterior, you need to focus on the interior. The key to staging is to make it meaningful, set the tone and suggest countless possibilities. That means you need to remove everything that could distract the buyer’s attention. Keep only what you must to remain functional. If you don’t use something everyday, pack it for the move. Like the exterior, the inside needs to be neat and clean. If paint is showing signs of age, repaint. Neutrals often work best. Once the house is clean, stage your home with minimal furnishings. If you need inspiration, visit some model homes to see how decorators have put room together. Clear out closets, cupboards, and drawers.Strip the kitchen down to the necessities. Counters, however, should be clear, except for a decoratively placed bowl of fruit or bouquet or fresh flowers. It’s not necessary for individual rooms to be used for their original purpose as long as the functions they represent are logical and show the space off well. Remove anything personal such as family pictures and mementos. Arrange furniture to enhance the strengths of the room and facilitate traffic flow. If your furniture shows signs of age, consider borrowing pieces. Open the curtains to allow natural light to fill the room. Appeal to the buyer’s sense of smell. Hot apple cider, cinnamon rolls or fresh baked cookies add a homey smell. Simplicity and comfort is your ultimate goal when home staging. The general rule is "less is more appealing". If you are considering selling your home soon... Your Agent Matters... DONALD KEYS has been a licensed REALTOR® Since 1997 and will sell your home for significantly more money... bottom line... than any other method. 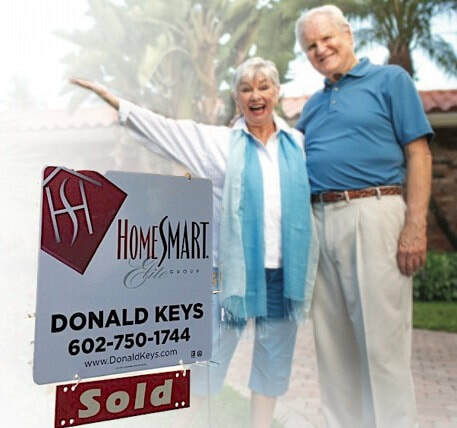 To discuss the sell of your home Call Donald Keys at (602) 750-1744. What home improvements increase my home's value? If you’re looking to improve the appearance of your home for resale, or just want an updated look for your own enjoyment, there area a few things you must consider before beginning any costly project. Sure, you can spend a lot on something purely for there personal pleasure of having it – like that outdoor Jacuzzi under the attached gazebo – or you can go the practical route and make and improvement that will increase your home’s market value, such as installing energy efficient air-conditioning or repairing those shabby singles. Be forewarned, however, and don’t expect to recoup your costs on both counts. Many professional REALTORS® working with buyers today agree that just because you put $25,000 worth of home improvements into your home, doesn’t mean that your house is worth $25,000 more! Exactly how much of your investment you’ll recoup depends on a number of factors, such as the current housing market, the value of homes in your neighborhood, when you plan to sell and the exact nature of the improvement. Also, consider that the longer you live in your home after a project is completed, the less likely you are to recoup its value. Just try to convince a potential buyer that Harvest Gold and Bright Lime Green are today’s cutting edge colors. If you’re planning to sell your home soon, a fresh coat of neutral-toned paint will make the sale easier. Neutral toned paint includes most shades of white, lighter beige tones, very light green tones and possibly current color trends. Ask a professional in the paint department or an interior decorate. A professional exterior paint job may also recoup close to 95% of its cost and help you home sell faster. Let’s face it – we all like things fresh-looking. Painting the interior of the home with neutral colors is important too. It is hard to sell a home with red, blue and purple walls. Lighter colors make the home look bigger and more inviting compared to dark colors that portray the home as smaller and uninviting. You might consider hiring a professional painter to do the job for you if you are looking to resale your home. Keep in mind that professional painters are often busy and it could take 7 to 14 days to fit you in their schedule. If you are painting for your own personal satisfaction, remember to take your time, buy professional tools (brushes, pans, drop cloths , paint rollers, special corner painting brushes and masking tape). Mask off the entire area before painting. Professional painters often spend hours preparing the home before the first drop of paint hits the wall and you should do the same. A fresh coat of paint on the outside and inside of the home is one of your best investments a homeowner can make and will help you home sell faster. With just a few basic improvements, your kitchen can practically pay you back with interest! New paint, tile backslashes and flooring are always appreciated; plus, you might even consider sanding, staining or painting worn-looking cabinets. Replacing old cabinet hardware with more modern handles and knobs is a low cost improvement that makes a big difference in appearance. According to Remodeling Magazine, the average spend on major kitchen remodeling is around $39,000; refinishing an outdated on averaged $15,000. The full kitchen remodeling recouped 80% of its cost, the more moderate remodeling was valued at 87%. The kitchen is one of the most important rooms in a house so take your time when planning any improvements. Even people who do not cook on a regular basis, love to have the look of a beautiful gourmet kitchen for holiday gatherings and when family and friends come over for a visit. One of the most overlooked areas of kitchen improvement for people who do like to cook is the work flow of the kitchen. Any amateur chef wants to go from the refrigerator, to prepping area, to stove, to a serving area or station such as an island in the kitchen. The flow should be in a triangle, circle or oval pattern, not criss-crossed. Generally speaking, increasing the functional apse of your home holds its value longer than remodeling just to make your house look better. It’s also much less expensive than adding an addition to your home. Converting attic space into a bedroom, for example, usually cost around $30,000 and returns 73% of its cost, according to Remodeling Magazine. Turning your basement into extra living space costs on average $40,000 with a recoup average of about 69% of your costs. Make sure you check with local home building regulations to see if you will need a permit. Also make sure you use a licensed contractor with a reputable reputation. You usually can’t go wrong by adding an extra bathroom. 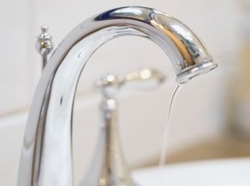 At an average cost of $15,200, a new full bath can recoup 81% of it’s total cost. You will most likely need a general contractor and a licensed plumber to complete this remodel task. 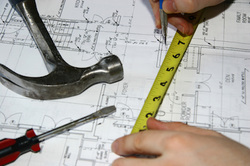 Check with local home building regulations for any permits required to complete the project. Adding an outdoor deck is a very cost-efficient way to add square footage to your house (keep in mind an appraiser will not count this outdoor square footage). Decks cost around $6,000 to $8,000 and generally recoup 75% of their value. You might also consider an extended covered patio that can be built for around the same price or double (depending on the size of the home) and also will recoup about the same percentage as an outdoor deck. The latest trend is to add an OUTDOOR KITCHEN to the covered patio area complete with a dining table and chairs. A fire pit with surrounding seating area is also popular. Be careful you don't spend too much money when investing in an outdoor living space as home appraisers will not consider this additional square footage or living space. An appraiser is also reluctant to give you much additional value for a deck, covered patio or outdoor living space unless they have several recently sold homes in the area that have the same features. As a general rule don't over build for the neighborhood. Your utility bill savings may make up for the questionable resale value, however, a good set of standard windows should get you around 80 to 89% back depending on the quality of window installed. If you start getting too fancy with custom shapes and sizes, don’t expect to get as much in return. What type of windows should you have installed? Wood, Vinyl and Fiberglass are your three main choices. Be cautious when choosing Vinyl and makes sure it is a high quality vinyl with a good warranty. Wood window frames can be stained to match a decor and Fiberglass is a great alternative to Vinyl. Dual Pane vs. Triple Pane. Most modern Dual Pane windows are find for most homes. If you have a home next to a busy street where road noise could enter a home then go with the Triple Pane. Consider a high quality, high efficient window such as Pella. Keeping your yard, garden and landscaping looking picture perfect will help your home sell, but do not invest more than a few hundred dollars if possible, because you will not recoup any of your money. Appraisers almost always give no value to landscaping or a yard. They will give value to the size of the lot the home sits on, but not fancy landscaping, because without water, it dies and becomes worthless. It may not sound very exciting, but it’s the basic improvements you make to your home that may have the retest return on it’s value: a beautiful new bathroom won’t make up for a leaky roof. So if you’re thinking of selling your home in the next few months, be sure to address any little maintenance items your home made need (squeaky door, cracked floor tiles, leaky faucet, etc…) before you upgrade or install your beautiful backyard landscaping or swimming pool. Cleaning and basic improvements can recoup you up to 100% of your investment. 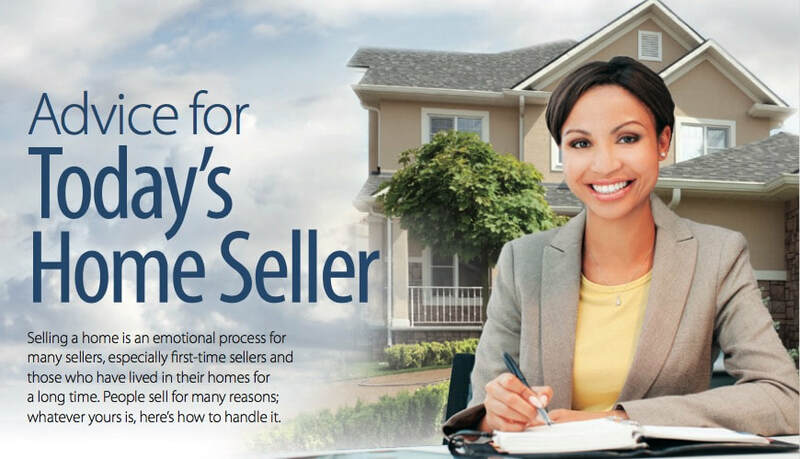 "99 TIPS TO SELL YOUR HOME FASTER & FOR MORE MONEY"